Rockville, MD’s Artists & Makers Studios will present a solo retrospective of glass artist Nancy Weisser’s lifelong career, including 40-plus years in the art glass field. The show will cover several themes- installations, new works, and work on paper and canvas. Nancy Weisser is a Kensington, Maryland- based artist specializing in kiln-formed glass. She owns and operates Weisser Glass Studio. 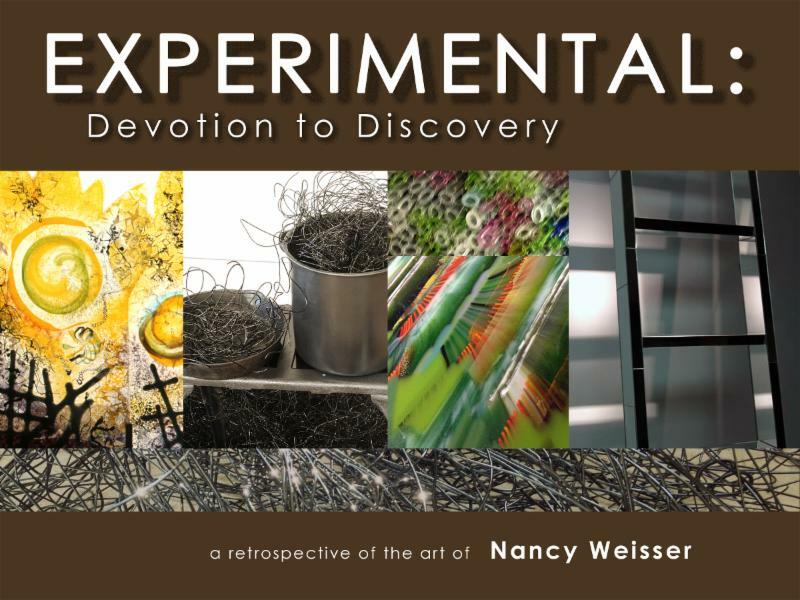 Experimental is a thread that runs through Nancy’s diverse body of work: “My devotion to discovery is about the pursuit of creating something new and my desire to learn along the way whether it be about material, process, or self. Art making for me is about trusting my instincts, nurturing curiosity and challenging myself even when it’s uncomfortable or difficult. This approach has allowed me to move forward and keep my work fresh”.